Kitwe’s Ipusukilo ward is densely populated - 43,000 people live in a small area, and around a fifth of them are children. The community faces many challenges, but one of the most difficult is that only one government school exists to serve this entire population. The name of the ward means "saviour", and Gift Chama is doing her part to try to lead Ipusukilo to a better future. She saw the serious educational shortfall in Ipusukilo and decided to take action. By contacting a local farmer, she was able to secure the use of an unused building. Next, she recruited volunteer teachers who also saw the depth of need in Ipusukilo. Together, they could create their own school - but they still needed financial support. That crucial financial help came from an unexpected source. GROW stands for “grassroots owning our wealth”, and the name is used for special savings groups set up through our Connecting Communities programme. Ipusukilo ward has a GROW group of its own, which local people can use to save money, free from the high interest charged by banks. In this way, community members can invest in their businesses, helping them maximise their income and ultimately, to sustainably fund their children’s education. 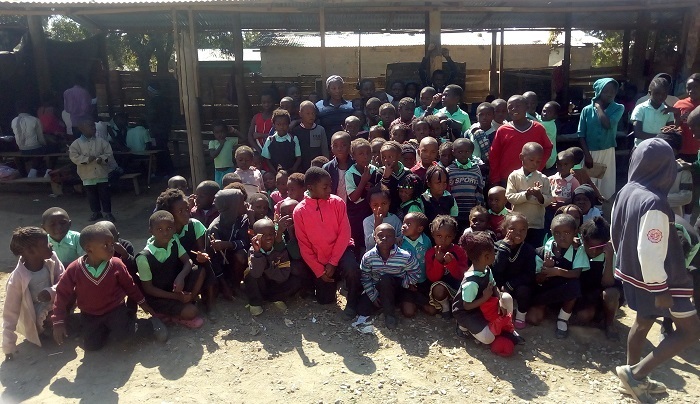 In Ipusukilo, the GROW group chose to support Gift’s school. Boosted by this investment, Sunrise Community School has opened its doors. Gift is the headteacher, and makes sure never to turn a child away. Now, the five teachers run classes from 7:40am to 3:15pm each day. In all, there are 284 pupils who are taught across all grades in just one room. The success of Sunrise Community School demonstrates how GROW groups are not only changing individual lives - by addressing gaps in education provision, they are helping to transform entire communities.